This article is about the British marine. For the industrialist, see John Pitcairn, Jr.
Major John Pitcairn (28 December 1722 – 17 June 1775) was a British Marine officer who was stationed in Boston, Massachusetts, at the start of the American War of Independence. Born in Scotland in 1722, Pitcairn joined the British Marines at the age of 23 and was stationed in Canada during the French and Indian War. He arrived in Boston in 1774 and the next year was one of the leading officers of the Battles of Lexington and Concord, which marked the start of the American Revolution. Two months later in June, Pitcairn was killed in action during the Battle of Bunker Hill. Considered one of the most respected British officers by both his men and the colonists, he was buried at the Old North Church in Boston. Pitcairn was born in 1722 in Dysart, a port town in Fife, Scotland. His parents were the Reverend David Pitcairn and Katherine (Hamilton) Pitcairn. He entered the Marines when he was twenty-three, was commissioned as a lieutenant in 1746, served in Canada during the French and Indian War as a captain, and was promoted to major in 1771. In 1774 he arrived in Boston, Massachusetts, in command of 600 British Marines assigned to support the British forces in the increasingly resistive colony. John Pitcairn was respected by the citizens in Boston as one of the more reasonable officers in the occupying force. He was in command of the advance party that marched on Lexington and Concord on 19 April 1775, which began the American War of Independence. His horse was shot from under him, and he lost a pair of matched pistols when the column's baggage was abandoned. Patriot leader Israel Putnam would carry them through the rest of the war. At the Battle of Bunker Hill two months later, Major Pitcairn commanded a reserve force of about 300 Royal Marines. They landed at the south end of the Charlestown peninsula. When the first assaults failed, Pitcairn led his men up the hill toward the American position, only to fall victim to a musket shot, said to have been fired by a former slave named Peter Salem. He toppled into the arms of his son, William, also a Royal Marine officer, who cried out, "I have lost my father!" Some Marines tried to console the son, while others, overcome with emotion, openly wept. Pitcairn was carried back to Boston, where he died of his wound within hours. He is buried at the Old North Church in Boston. After the battle, all of the redcoats said they "had all lost a father". John Trumbull's painting of the Battle of Bunker Hill depicts Pitcairn's death, though with several errors and anachronisms. Since no portrait of him is known to exist, Pitcairn's son David Pitcairn was used as a model by Trumbull. The uniform depicted in it was not actually adopted by the Royal Marines until the 1780s. Pitcairn is shown falling at the crest at its capture from the American force, while he was actually shot starting to climb the hill. Major Pitcairn is also depicted at the painting of the Battle of Lexington in the U.S. Capitol rotunda. John Pitcairn married Elizabeth Dalrymple (1724–1809), a daughter of Robert Dalrymple. Together they had four other sons and four daughters. One son, Robert Pitcairn, was a midshipman in the Royal Navy. On 3 July 1767 the 15-year-old boy, aboard the sloop HMS Swallow, was the first person to sight an unknown island in the south Pacific. The captain named the island Pitcairn's Island in the boy's honour. Later, in 1770, Robert Pitcairn was aboard an East India Company ship that vanished without trace en route to the Comoro Islands. Another daughter, Catherine Pitcairn, married Charles Cochrane, son of the 8th Earl of Dundonald and a first cousin of Admiral Thomas Cochrane, 10th Earl of Dundonald. Pitcairn appears in April Morning, a 1961 novel by Howard Fast depicting the Battles of Lexington and Concord. Pitcairn is also a character in the novel Johnny Tremain. Pitcairn is a secondary antagonist in the video game Assassin's Creed III. Pitcairn was rescued and recruited by Haytham Kenway to support the Templars' aims of controlling a fledgling America's future in the name of the Templar Order. In the game, he can either be assassinated on his horse from high in the trees during the Battle of Bunker Hill or fought as a boss, by the protagonist Kanienʼkehá꞉ka Assassin Ratonhnhaké:ton. Pitcairn is a supporting character in the History Channel's three-part miniseries Sons of Liberty which aired in 2015. He is portrayed by Irish actor Kevin Ryan. Pitcairn's tomb can be found in the video game Fallout 4, in the Railroad's headquarters, found under the Old North Church's ruins, in Boston. This corresponds with where Pitcairn actually was laid to rest. 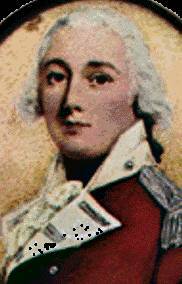 ^ "Lieutenant Alexander Pitcairn". The London Gazette. Great Britain: T. Neuman: 3690. 1847. ^ Ferling, John E. (2009). Almost a Miracle: The American Victory in the War of Independence. Oxford University Press. p. 30. ISBN 9780195382921. ^ Davis, David Brion (18 May 1989). "It Wasn't Peter Salem". The New York Review of Books (Letter to the Editor). Retrieved 18 December 2015. ^ Fredriksen, John C. (2001). America's Military Adversaries: From Colonial Times to the Present. ABC-CLIO. p. 398. ISBN 9781576076033. ^ Fast, Howard (1961). April Morning. New York: Bantam Books. ISBN 0-553-27322-1. ^ Hurricane, Johnby (2 November 2012). "Assassin's Creed 3 Guide: Assassinate John Pitcairn". Gamers Heroes. Retrieved 18 April 2018. ^ a b "John Pitcairn". IGN. Ziff Davis, LLC. 2 December 2012. Retrieved 18 April 2018. ^ Baker, Salina B (6 August 2017). "This is Dedicated to Major John Pitcairn". Salina Baker Author. WordPress. Retrieved 4 November 2018. ^ Michals, Susan (21 January 2015). "Sons of Liberty Star Kevin Ryan Talks American Rebels and British Accents". Huffington Post. Oath Inc. Retrieved 6 December 2017. Wikimedia Commons has media related to John Pitcairn (marine).